Futons are convertible sofa dual-purpose furniture that can be used for both sitting and sleeping. This piece of furniture, also known as “shikibuton,” has its origins in Japan where it has been used for centuries. In the late 60s, the idea of using a similarly designed cotton floor mattress became popular in the United States, and it was called a futon. 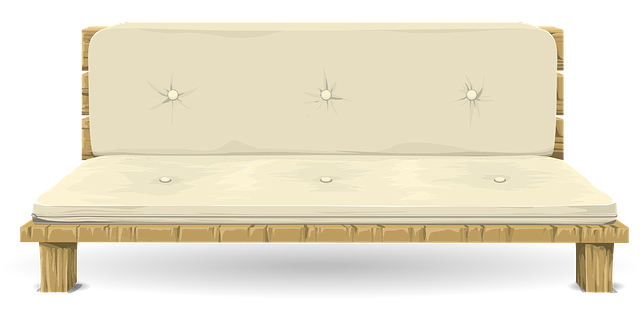 Through the 70s, the futon moved off the floor and on top of a wooden frame, even the word futon is still used in reference to the mattress. Today, purchasing a futon is not like buying a one-piece sleeper sofa. Instead, you have to take into consideration the individual futon mattress, frame and futon cover. Futons offer you a comfortable spot to sit and sleep in, even in a tiny space. It is easy to convert the futon into a bed and lie in or you can fold it up to create a couch for lounging in. The futon is a versatile piece of furniture, especially if you have little space, and brings you these benefits. For small spaces like studio apartments, your home office or even a small living room, it is important you find ways of organizing all the things you have efficiently. A futon makes it possible to have a couch and bed in a little corner that is out of the way in your studio. During the day, simply use the futon as a couch and come night, unfold it and create yourself a comfortable bed. Moving is a wary task that many people do not like because of the tendency of worrying about big items. As part of the must-have items for a new home, you should include the futon because you don’t need to worry about transporting a bed and couch separately. Plus, it will not cost you much paying the moving company to move the furniture since it is lighter and smaller than a traditional bed or couch. When you are in between moves, a standard mattress and couch will be a hassle to store away. The best futons, on the other hand, are smaller and can therefore be stored away more easily. Before moving to a new location, you can put it in storage until you need it in your new apartment. While futons are very practical pieces of furniture, they can also do wonders by adding a decorative touch to your small space. With the right kind of futon, you can accent your décor scheme, giving your room a final addition, in addition to the great benefits and uses it brings you. In fact, you can easily change futon covers to make your room look bright, airy and comfortable. Your bed’s quality has a direct affect on the quality of sleep you achieve every night. In addition, using a firm mattress is one of the best ways of providing good support for your back – reducing back pain. In fact, placing a mattress on your floor is a helpful way of adding firmness to your mattress. Fortunately, futons are typically firmer than traditional mattresses since they are designed for placing on the floor, making them potentially good for your back. If you sleep on your back, a thin futon mattress will do. However, if you typically sleep on your sides, invest in a thick futon mattress for the added support. If you are going off to college and sharing an apartment, a futon is the ideal solution for the bedroom, for study and reading time. When friends come over for a study session, they can sit on the futon for the right atmosphere, at night, unfold it and create a good sleeping surface. For work at home moms and dads, space can be a huge problem. A futon in your home office can pass as a sofa during work hours and serve as a bed in case you have an overnight guest. Plus, it is better than sleeping on the sofa if “he” finds himself in trouble! With a couch and bed in one unit, it’s easy to do things more comfortably. In small spaces, a futon is an even better choices compared to a bulky couch or bed.